We understand the best compliment we can receive is a referral of our services to customers, friends and family. StorageOne Maryland Pkwy & Tropicana is committed to excellent customer service and appreciates serving the self storage needs of our community. 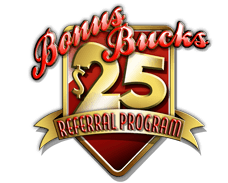 Please include your mailing address in the message section so we can mail your Bonus Bucks directly to you!